At work or play, get your message across quickly and confidently! 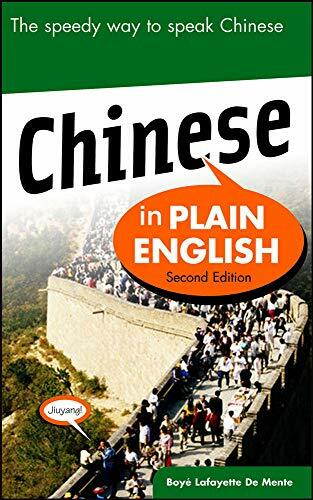 For the business and leisure traveler, the simple-yet-effective "Chinese In Plain English" will help you find a hotel or the nearest restaurant as you pass through China. Now updated to include the latest additions to the language, it offers you 1,200 essential words and phrases that will get you around the country confidently and without faux pas. The pronunciation system is simple, and, more important, each Chinese phrase is presented in the Roman alphabet, rather than its non-Roman script.